Home > Mother's Day Dinners! > Maine Lobster Shore Dinners! > Upgrade Your Lobster Size! Upgrade your LIVE Lobster SIZE to 1 1/2s in any of our New England Clambakes, "Classic" Dinners, "Mariner" Dinners, or the Shore Dinners! ( 1 1/2 lb. Lobsters)which will fit in the Clambake Tins. *This is a PER lobster charge*, please be certain to adjust the quantity in your cart. Thanks! 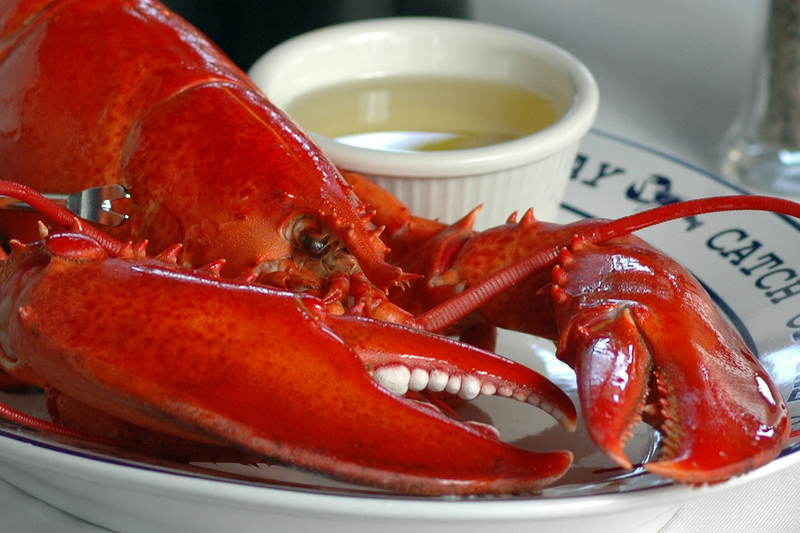 You can also Upgrade the Lobsters in your "Classic", "Mariner", or Shore dinner to 1 1/2 lb. Lobsters! Order By 10 am EST, And We'll Ship It To You Overnight In Time For Dinner Tomorrow, Right In Your Own Home! Our Clambakes Also Make A Great Gift Idea! You can place your order online or by calling us toll free at 866-788-0004. We ship Monday thru Thursday for delivery on Tuesday thru Friday (NO Sunday or Monday FED EX deliveries). We went with the bigger lobsters in our second clambake we ordered. Worth every penny!